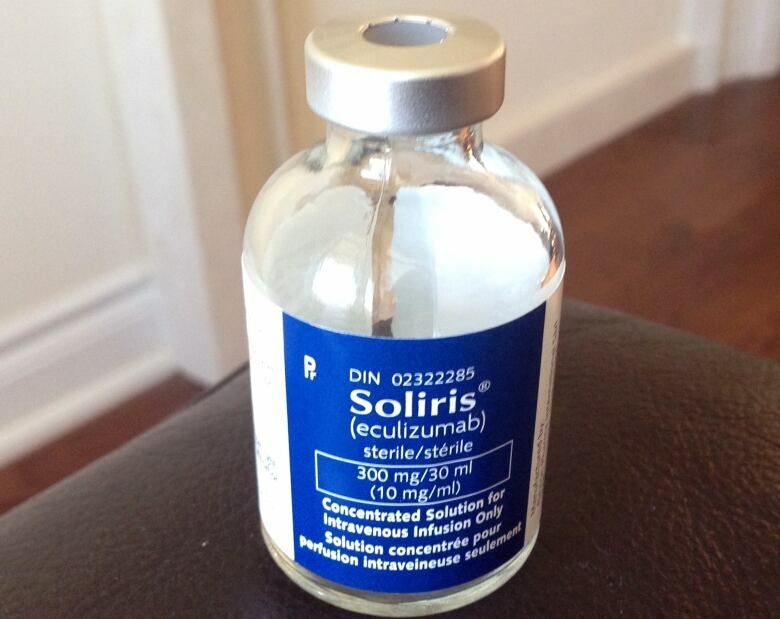 A special drug for an extremely rare disease, Soliris costs about half a million dollars per patient, per year, for life. Why? The reasons for the price are locked in "the black box" of drug pricing that governments are seeking to crack open. What if your life depended on a drug that cost half a million dollars a year, every year, for the foreseeable future? That's the price of Soliris, one of the world's most expensive drugs. It is the only medicine available for people suffering from two ultra-rare diseases: paroxysmal nocturnal hemoglobinuria (PNH) and atypical haemolytic uremic syndrome (AHUS). In both cases, the body attacks and destroys red blood cells, causing anemia, organ failure and ultimately death. And for both diseases, Soliris is not a cure, but it can stop the attack on the body's tissue and organs, and patients can go back to living normal lives. But only if they can get the drug, and many can't, because it is priced beyond the reach of almost everyone. So how can one drug cost more than the annual income of all but a tiny percentage of households? The reason is locked in the so-called "black box" of orphan drug pricing, where actual research and development costs are carefully guarded secrets known only to drug company executives. "Orphan" in this context refers to rare diseases that languished untreated for decades because the patient population was too small to attract the interest of drug companies. But now medications to treat these ultra-rare diseases are becoming more profitable than traditional drugs, because of government incentives, increased patent protection and a business model based on extreme pricing. Most people assume the drug companies are charging sky-high prices to recover their research, development and manufacturing costs, because the patient population for rare diseases is so small. But in reality, the extreme prices of these new orphan drugs are largely arbitrary, and have very little to do with the development and manufacturing costs, according to industry analysts and academic researchers who have studied the issue. "Public resources went into understanding the molecular basis of the disease, public resources went into the technology to make antibodies and finally, Alexion, to their credit, kind of picked up the pieces." Sidhu spent years researching monoclonal antibodies, the underlying elements in Soliris, for a U.S. biotech company. Now he's started his own company, developing drugs that are similar to Soliris. He says it's time to correct the impression that without high drug costs there would be no new drugs. "I think that's a major misconception," he said. Most drugs are based on scientific discoveries made in publicly funded research labs, by academic scientists. 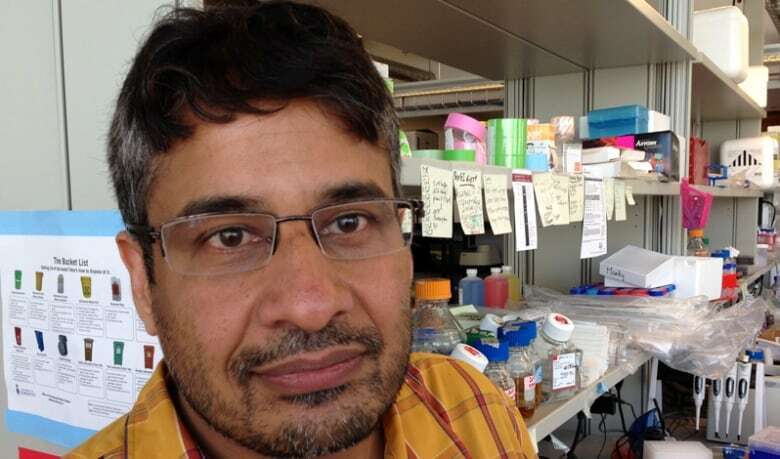 "The real story is it's all connected back to students, post-doctoral fellows, people doing very, very basic research accumulating that knowledge," Sidhu said. The extreme price of Soliris also can't be explained by the manufacturing costs, he went on, because monoclonal antibodies are much less expensive to make than people think. "We know roughly what that costs, and it's far, far, far less than the cost of the drug," he said. "It probably costs less than 1 per cent of the price of the drug to make the drug, so there's a lot of wiggle room on how to price the drug." CBC asked Alexion for an interview to talk about why the drug costs so much. But the company refused. In a short statement, it said drug pricing depends on a "unique decision-making framework" that takes into account "the rarity and severity of the disease, the absence of effective alternative treatments, indirect medical and social costs, and clinical data that demonstrate the impact of the drug on patients who desperately need it." In other words, Alexion set the price of Soliris at half a million dollars a year, because that's what it thinks the market will bear, based on the fact that the drug works and patients have no other treatment options. Alexion knows that individual patients can't afford to pay half a million dollars a year for the rest of their lives. The business model depends on public health-care systems and private insurance companies reimbursing the million-dollar drug bills. But how many million dollar drugs can a public health system afford? Not many, according to health economist Michael Law, at the University of British Columbia. "As more and more of these expensive drugs like Soliris come along," he says, "we're going to have a reckoning, in terms of how we make those decisions." Soliris is Alexion's only drug, but it's a blockbuster, earning revenues of more than $6 billion in just eight years, and making Alexion one of the fastest growing companies in the world. So far, Alexion has refused to justify the high price, even when asked by national health officials in the U.K., who were struggling with the decision about whether to recommend that the British government cover the drug. Despite that refusal, the drug was approved for coverage in Britain last year. 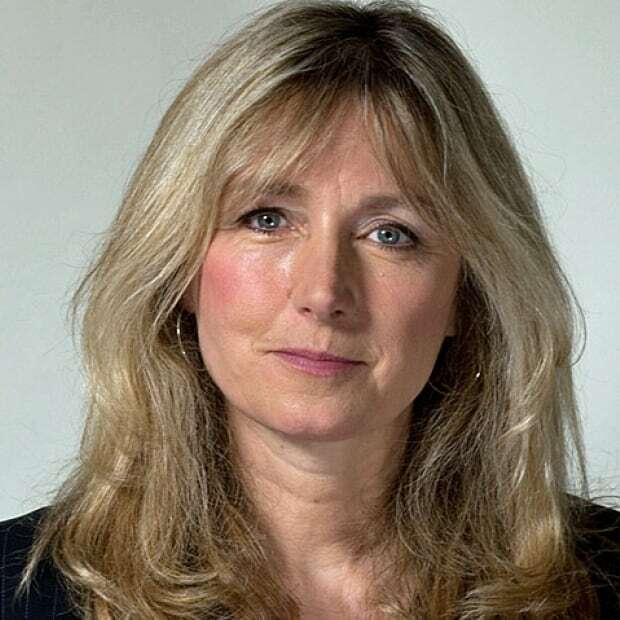 But in New Zealand, the drug was denied government coverage, because of "the very high price being demanded by Alexion," according to the decision document. That decision leaves New Zealand patients with no access to a drug that could save their lives. In Canada, there are also patients who can't get access to the drug, although some provinces will cover the cost for some patients based on certain criteria. In the meantime, Canada's watchdog on drug prices is accusing Alexion of charging more for Soliris in Canada than anywhere else in the world: around $700,000 per patient per year. The Patent Medicine Prices Review Board held a preliminary hearing this week in Ottawa, the first step in a process aimed at forcing Alexion to lower the price, and even repay some money. Alexion is disputing the allegation. "This drug is forcing us to have to rethink how we say yes and how we say no when it comes to prescription drugs," said Law. Soliris is among the first of what will become a wave of new therapies for rare diseases, based on developments in monoclonal antibodies. "We will be getting a lot more drugs like this," said Sidhu. "The basic rule of thumb, if a drug costs more than an average household income, then it's unsustainable. Something has to be done about that. Clearly it's not what the system was designed to handle." Governments do not have the power to force drug companies to justify the price of drugs that will be covered by public health-care systems. And industries claim that they need complete confidentiality to protect trade secrets. But Sidhu says there are ways to respect that need and still have greater transparency in drug pricing, including an accounting of how much of the research was done in the public domain. "I think we should decide what drugs cost based on a transparent knowledge of how much effort went into it, and who that effort came from. I'm always surprised how little knowledge there is of that." In the meantime, governments should be bracing themselves for more million dollar drugs that are making their way through the pipeline. It's estimated there are 7,000 orphan diseases that need some kind of drug therapy, and new developments in biotechnology are creating many new opportunities. It's the dawn of an era when it might be the lack of money, rather than the lack of drugs, that will block access to treatment for rare diseases.